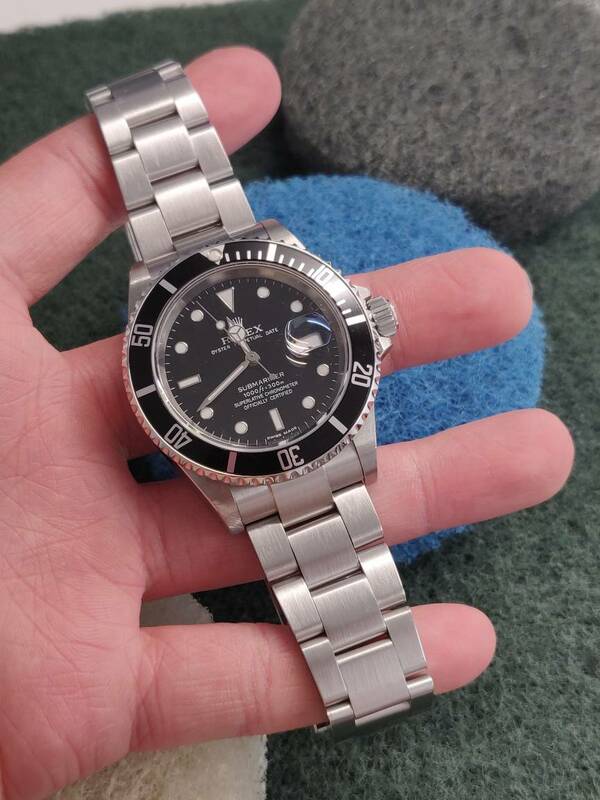 Im seeking advice on the best technique to restore the brushed finish on my Sub bracelet. Thank you in advance for you're help!! Remove the bracelet off of the watch. Get something to level off the sides to recent scratching the sides of the links. Use double sided tape to stick the bracelet onto the surface. Do light, straight brushing with the 3M. Any deeper scratches, use a sandpaper, then finish off with the 3M. This is the homemade way. The gen-like brushing consists of multiple variations/combinations of Bergeron polishing wheels designed for Rolex, adding a "white" look on the steel. it creates this "white" brush style. Just set the dremel to the lowest setting and go super lightly in one direction. Last edited by capice; 12-02-19, 07:18. For the finish I can recommend Gerryflex abrasive block „medium“. You‘ll get bright white shine on the surface.